The next installment of the Call of Duty series just got a little bit more hip-hop. It's been confirmed that Eminem will contribute music to Call of Duty: Black Ops, specifically a song from his latest album Recovery. "Activision's fall titles are set to give gamers an unparalleled musical experience," said Activision CEO Bobby Kotick in a statement that included not just Black Ops, but also more traditional music games. "We have assembled an exceptionally talented roster of artists, many of whom have created exclusive or originally recorded tracks for our games. We are sure our titles will offer a variety of tracks that will appeal to our wide consumer base and delight the most passionate music and gaming fans," he added. 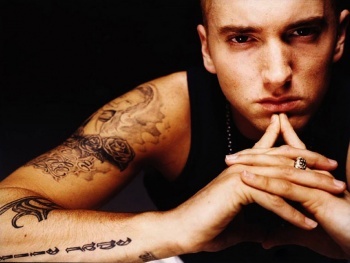 Eminem's unique brand of rapping might not immediately scream "first person shooter set during the cold war", but we don't know as yet exactly where the song will appear, so it might all make sense after all.